The empowerment of women has become the buzz word nowadays. Women have proven themselves in every field, they are working with men in all field. 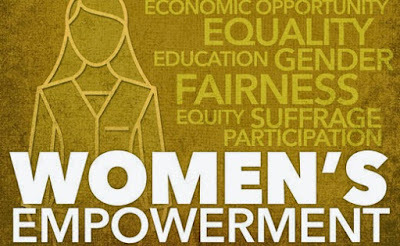 Women Empowerment means, to improve the social, economic, political and legal strength of the women, to ensure equal-right to women. Due to various scheme and law such as Girls free education, they are gaining more and more control over their lives and their decisions regarding reaping the special including education, career, profession and lifestyle. With an increase in a fixed number of working women, they have gained financial independence, which gave them the confidence to direct their lives and build a private identity. 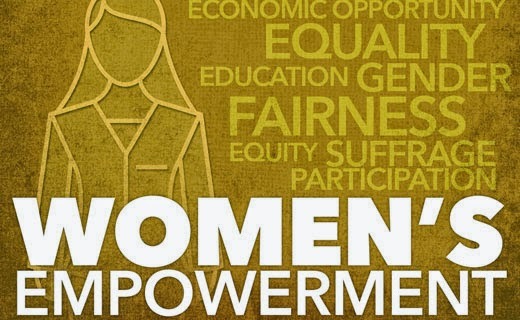 The purpose of women empowerment is to an overall development of the society. There is no denying the fact that women in India made a considerable progress. The greatest saint Swami Vivekananda said' There is no chance for the welfare of the world unless the condition of women is improved. it is not possible for a bird to fly on only one wing." Therefore the "women empowerment" is must be prime goals of every state government. However, there are many promotional schemes available in the country in order to develop women strength. Trade-related entrepreneurship assistance and development ( TREAD). CWEI ( the consortium of women entrepreneurs of India. WIT ( women India trust). SWEA ( self-employed women association). Income generating schemes by Department of women and child development. Women successfully deal with various professions to prove they are insurmountable on either side. They play multiple roles, mother, daughter, sister, wife and professional work with wonderful ease and harmony. With work on equal opportunities, They are working in the spirit of the team to provide all possible cooperation with their male counterparts to meet the deadlines and goals set in the professions of each. Empowerment of women is not limited to urban areas, but women working women, even in remote cities and towns increasingly loud and clear voices in the every community. No doubt, education has also played a tremendous role in women empowerment. Education helps them to understand the things in better way. Various educational body such NCERT CBSE board focusing on the quality education. There are many online websites which are providing free CBSE NCERT, JEE, NEET, CLAT, SSC study material one for all. While it is true that women, to a large extent, are not discriminated against in today's society, unfortunately, many of them face exploitation and harassment, which can be of different types: emotional, physical, mental and Sexual They are often raped, assaulted, and other forms of physical and intellectual forms of violence.